Premier Parking is a proud sponsor of the 2019 NFL Draft, coming to Nashville April 25th through the 27th! There are countless events and activities scheduled throughout the week of the draft, and with all of the road closures and incredibly high volume of attendees, mobilization through the downtown core is expected to be challenging. 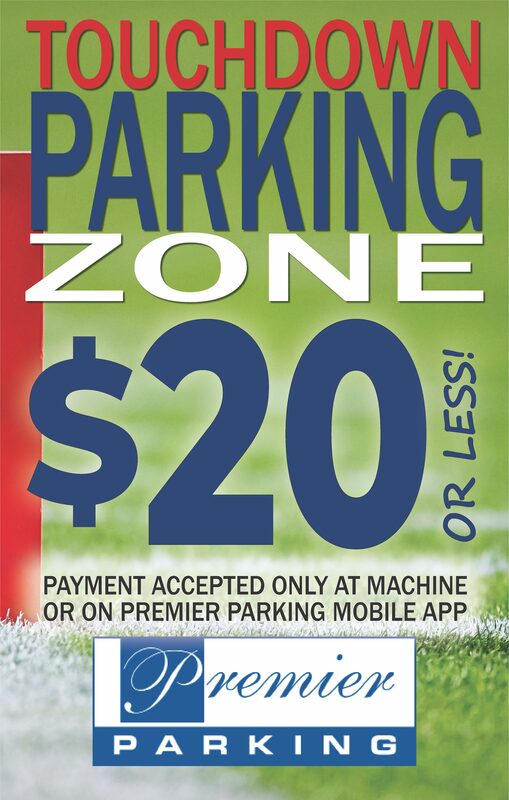 We recommend downloaded the free Premier Parking mobile app in advance to find parking options before you leave to head to any event. Plus, with the Premier Parking app, everything about parking is quick and easy. Users can not only look for/find parking, but they can also pay for their parking, see where they parked, and save money on parking if they have a promo code – all with the free Premier Parking app, so be sure to download it if you don’t already have it! During the draft, attendees should be on the lookout for “Touchdown Parking Zones” located throughout the city! These Premier Parking locations will have rates of $20 or less available for local attendees! Additionally, Premier will be collecting food donations in support of the Second Harvest Food Bank of Middle Tennessee’s NFL Huddle Against Hunger Food Drive! Donation boxes will be set up at the parking garage offices in One Nashville Place Garage (150 4th Avenue North) and PSG/Public Square Garage (350 Deaderick Street). Anyone who drops off a food donation during the draft will receive a promo code for the Premier Parking mobile app that is good for a discounted parking session! Donations may be dropped at these locations between April 9th and May 3rd. The most needed items are peanut butter, canned meat (tuna or chicken), canned vegetables, canned fruit, pasta and cereal. If you have questions about getting around during the NFL Draft or about the Huddle for Hunger Food Drive, please contact the Premier Parking office at 615-238-2250.